The Galileo K-12 online testing interface offers students an experience similar to what they will encounter when taking state-wide assessments. For example, Galileo K-12 includes a wide range of testing and/or accommodation tools that can be enabled for test takers. Testing tools include the Merriam-Webster dictionary and thesaurus, multiple types of calculators, flag for review, highlighter, strikethrough, as well as item-related tools such as a compass, ruler, straightedge, and protractor. Accommodation tools that may be scheduled as needed include text-to-speech, pause test, summary screen, and zoom capability. Additional testing tools (e.g., line reader) are currently under development and scheduled for release in the coming months. Launching in a few weeks, students will notice minor changes to the new colorful look of the online testing interface. These changes will contribute to a pleasant user experience while keeping the same functionality. Several searchable resources are available in the Galileo Help Files including step-by-step instructions, video tutorials, and manuals. To easily schedule universal testing tools for assessments, access the professional development quick reference guide. 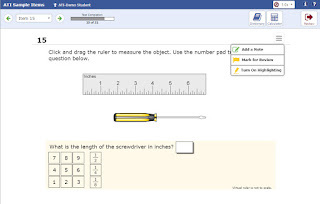 Galileo online testing interface displaying several testing tool options including zoom, dictionary, calculator, add a note, mark for review, highlighting, and an item-specific ruler. 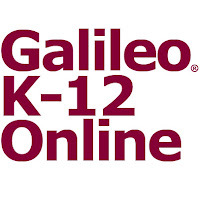 Would you like an in-person overview of Galileo K-12 Online? Seize the moment at the ATI exhibit #50 during the 48th Annual CASE Convention in Breckenridge, CO July 26-28. Baron, the ATI Field Service Coordinator (FSC) at the convention, will be available to give you a personal demonstration and answer your questions about Galileo K-12 Online. 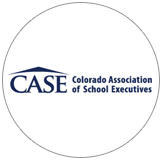 The system is comprehensive, research supported, and aligned to Colorado Academic Standards. Galileo provides an array of curriculum, assessment, instructional effectiveness, and reporting tools. Mark your calendars and stop by exhibit #50 to see the latest features of Galileo designed to facilitate advancements in teaching strategies, assessments, and implementation of instructional effectiveness initiatives. See ATI upcoming events and happenings for more opportunities to experience Galileo K-12 yourself. M.A.S.S. 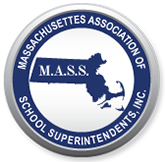 Executive Institute: Last week over 400 teachers, educators, and leaders came together to learn about leading and creating inclusive schools at the three day M.A.S.S. Executive Institute in Mashpee, MA. ATI Field Services Director, Craig, was on hand to provide live demonstrations of the Galileo K-12 Online Instructional Improvement and Effectiveness System. Craig showcased ATI’s extensive Secure and Community Item Banks which are amongst the largest and highest-quality banks in the nation available to educators. He also highlighted the latest Galileo enhancements including the navigational staff and student Launchpads, Test Builder and Item Builder for easy test creation, and multiple online testing tools for students. If you missed us at the conference, it’s not too late to request an online demonstration. 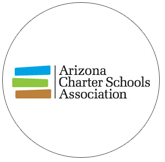 Arizona Charter School Educator Summit: ATI FSC, Nancy presented to a packed room during the Arizona Charter Schools Educators Summit last Friday. She provided a valuable demonstration on how the Galileo’s CBAS-NT assessment series can help teachers and leaders track student learning, standards mastery, performance levels and growth regardless of enrollment date and length of time students take to complete self-paced coursework. Attendees walked away with a complete skill set for using the tools and reports in Galileo that enhance their impact on subgroups and interventions. To learn more about how Galileo technology can assist you and the families and students you work with, watch for the webinar recording coming soon. Assessment Technology Incorporated has begun the transition to the newly adopted, 2016 version of the Arizona State Standards. 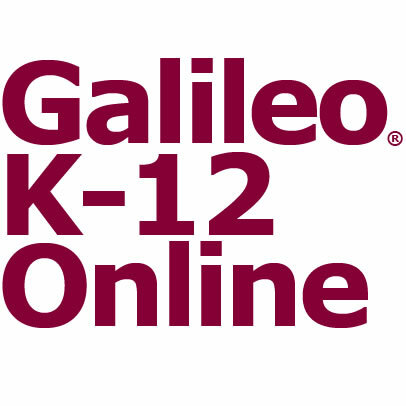 As part of that transition, the version of the standards in Galileo K-12 Online now has annotations indicating new or modified standards, marked with an asterisk, standards that are being phased out, marked with z2010, and standards that have been confirmed to carry over from the last version of the standards. As your district staff works with the standards in preparation for the 2017-18 school year, they will notice these annotations. We wish to reassure everyone that nothing has been removed and all of the academic standards are still in place as test planning and delivery begins. "There will be a two year implementation timeline for the newly adopted standards. 2017-2018 is a transitional implementation year, while full implementation will occur in 2018-2019. AzMERIT will be aligned to the new standards beginning with the spring 2019 exam." With this transitional implementation, Galileo K-12 Online provides teachers and district staff with the information that will help make choices about assessment in the upcoming school year as well as looking at the future plans for assessment once the AzMERIT tests are updated to reflect the additions and removals from the prior version. There has not been a similar clarification on the math standards. We have requested a clarification from the Arizona Department of Education and will provide an update as soon as we receive a response. Schedule a Galileo K-12 Overview to learn more or make purchase of GradeCam functionality. We use this information to determine how well our tests correlate to the state assessment. We will generate a Forecast Report that compares benchmark scores of your students to the state assessment. The Forecast Report will display correlations and forecasting accuracy – how well we did at classifying students at various risk levels (high risk, moderate risk, low risk, or on-course). The state assessment data is placed in forms that can be used to generate reports (individual or aggregate) or to filter report results. State assessment scores are uploaded through the Data Upload Planner in Galileo. To upload your scores go to: Setup, Data Setup, Data Upload Planner and then click on Create New Upload Plan. If you need help, please don’t hesitate to contact support@ati-online.com or your Field Services Coordinator at sales@ati-online.com.